Klip Gallery: Google Analytics – How can we help you today? Choose from a selection of Google Analytics Klips for at-a-glance insight on your website and digital marketing performance. Combine the power of Google Analytics with Salesforce to gain insight on how prospects advance through your marketing funnel. Additional connection flow step: Connect to your Salesforce account as well as Google Analytics. Track the number of users that visited your website, the number of sessions, and the total number of pageviews in the time period of your choice. Track your website's Avg. Bounce Rate, Avg. 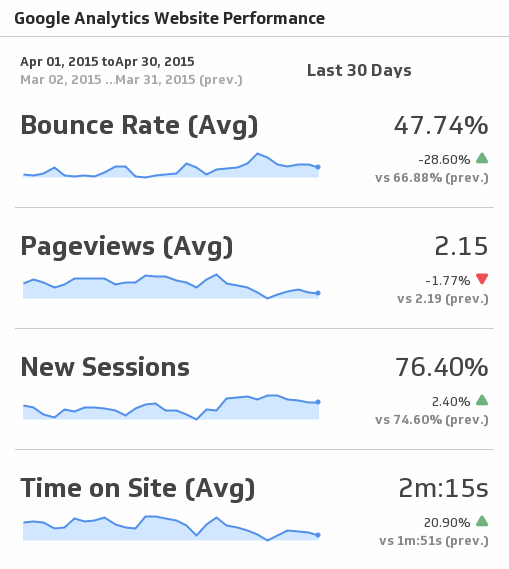 Pageviews, New Sessions, and Avg. Time on Site for the time period of your choice. Track where your website sessions are coming from during the time period of your choice. Displays the top online channels generating traffic to your website during the time period of your choice. 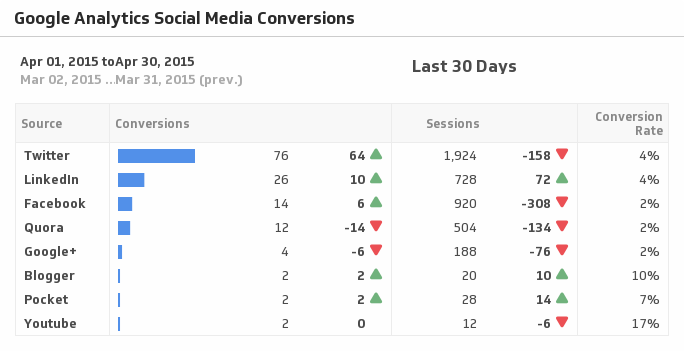 See a summary of total social media lead conversions during the time period of your choice. See the number of visits to your website using mobile, tablet, and desktop devices for the time period of your choice. Are you hitting more goals on Desktop or Mobile? Find out with this Klip. Choose a Google Analytics Klip from the list and select Add to Dashboard. 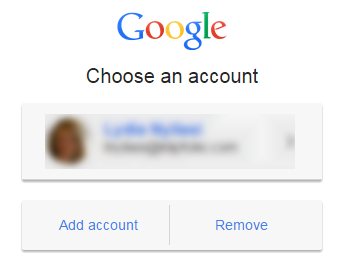 Select an Analytics Account from the drop-down list.